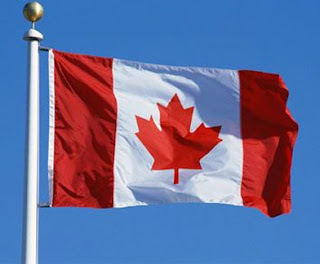 First of all, Happy Canada Day to my fellow Canadians! We're few and far between in the blogosphere, but I've been meeting more and more of you, and I love it! If you're a Canadian blogger, check out Rabid Read's blog - she's compiling a list of Canadian bloggers so it's easier for us to find each other! Follow Friday Fun Week 5 - this weekly meme is hosted by Parajunkee. Check out her blog for details/rules, and to join! This week's question: ACK! Your favorite book/movie character (example Hermione Granger played by the Emma chick) just walked into the room! Who is it and what would be your first reaction? You get extra points if you include visual stimulation. Oh jeeze, this is hard! I'm sure given more time to think about this, I'd come up with a huge list, but the first person that came to mind was Ron Weasley played by Rupert Grint. Even though Rupert's a few years younger than me, I've always had a crush on him - I just think he's the cutest thing, and Ron is one of my all-time favorite book characters. As for how I would react: since I'm incredibly shy and self-conscious, I really don't think it would go well. I can picture it in my head and it's too scary to type, so you'll have to use your imaginations. Let's just say it would probably be painfully awkward. Speaking of which, here's my 'visual stimulation' - something I can guarantee you I wouldn't do if I ever met Rupert. Well actually, the disgusting fan-girly thing might be an unfortunate reaction I'd have, but minus the whole eyelash thing - which by the way, makes me laugh hysterically every time I see it, and is why I chose to include this video. Enjoy! 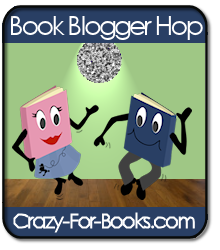 Book Blogger Hop Week 6 - This is a weekly meme hosted by Crazy For Books. Be sure to stop by her blog to check it out! This week's question: "What keeps you reading beyond the first few pages of a book, and what makes you want to stop reading a book and put it back on the shelf?" Well, there's no set formula, really. It has to catch my attention in some way, whether it's humor, drama, suspense, the author's writing style, whatever. I love those rare books that catch me from the first page and hold my interest all the way through, for whatever reason. I love characters that are believable and relateable, and that I can imagine myself as the character, going through the story. Things that will stop me from reading a book: if it's going nowhere, if it makes no sense, if the characters are flat, cardboard cut-outs, or if the writing style is over-the-top, to name a few. This week's question: Mr. & Mrs: Who are your favorite book couples? *Ron and Hermione from Harry Potter - I love how they have this love-hate relationship right from the start, and how they're both strong, independent characters, but they obviously care about each other and need each other. The dynamic between them is hilarious, frustrating and touching, and all they have to go through makes you feel almost triumphant when they finally end up together. *Anne and Gilbert from Anne of Green Gables - one of my favorites since childhood. I thought Anne was unreasonable for not forgiving Gil sooner, but of course it made for a better story, and a much sweeter romance once they were actually together. *Edward and Bella from Twilight - I'm sure there are plenty of people who are rolling their eyes right now, but I do love these books, and I enjoy the love story between Bella and Edward. That magnetic pull that neither of them can deny, all they have to go through to be together and be happy...plus just the ridiculously romantic things Edward says to Bella had me swooning whenever I read them. *Jude and Aidan from Jewels of the Sun (by Nora Robert) - I'd like to say it's as simple as the fact that I've always dreamed of moving to Ireland and falling in love with a smoking hot Irishman, but it's so much more than that. Right from the beginning, I felt like Jude was me, and I loved living vicariously through her, even when her tempestuous push-pull relationship with Aidan seemed doomed, it was all worth it in the end. I could go on and on, but this post is long enough as it is! Book covers and trailers and swag - oh my! I hope everyone's having a great Friday! If you participate in Book Blogger Hop or Follow Friday Fun - or even if you don't - be sure to leave a comment (I love comments!) and I'll visit you in return! Love your header. New follower. Just hopping along. Like your visual stimulation. Come visit me over at Livre De Amour-Books of Love Blog. I just found your blog and I'm enjoying reading the reviews. And on the couple question from TGIF, I love Ron & Hermione. Can't believe I forgot them in my list. And there's nothing wrong with liking Edward/Bella. I think people roll their eyes every time I mention my favorite series & couple, which is the Fallen series (Daniel & Luce). There will always be people who won't like these books. Anyway, sorry for all the ranting. I too am a Bella and Edward fan- even if I keep it on the down low sometimes! Hopping by on the blog hop. Great answers! I especially like how your fan girl moment would be too horrible to type. I actually felt pretty embarrassed by my answer but whatever, we are all friends here. I know how thrilled you must be to find other Canadian bloggers. I feel the same when I find someone from Texas. So, though I'm not Canadian, happy Canadian day! I forgot about Ron and Hermione!! Great choices! Great list! I love Edward & Bella, but they kinda didn't make my list, lol. Rupert Grint is so awesome!!! Nice choice :) Here's my FF! I love your blog. I'm a new follower just hopping by to say hello. Just hopping by, have a great week-end. And I'm a new follower! Happy Friday! Nice answers. I get star struck so easily I can't imagine it going well if I met anyone famous, either. :) And fun couple picks. I had such a hard time narrowing it down. New follower, that vid made me giggle. Rupert was a trooper. I love Ron and Hermione as well. Great choices. Stop by if you're bored, you will laugh. Love that video. I've never seen it before! :p The eyelash part cracked me up!!! Hopping through. Happy Canada Day from you neighbor to the south! I love Anne and Gilbert. They were my choice for the FF question. A classic couple.